Für diese Biografie liegt noch keine deutsche Übersetzung vor. Twenty-four-year-old Alexander Prior is the newly appointed Chief Conductor of the Edmonton Symphony Orchestra beginning in the 2017/18 season. In the 2016/17 season, Prior returns to the Edmonton Symphony, and he also conducts Elektra with the Edmonton Opera, Hansel and Gretel with the Vancouver Opera, and Swan Lake with the Royal Danish Orchestra. Highlights of the 2015/16 season included debuts with the orchestras of Mannheim and Graz, and his return to the WDR Funkhausorchester in Cologne. Other notable engagements have included the Royal Philharmonic Orchestra, Copenhagen Philharmonic, NDR Sinfonieorchester, Camerata Salzburg, Düsseldorfer Symphoniker, Norwegian Radio Orchestra, Aarhus Symphony Orchestra, Bayerische Staatskapelle, Vienna Chamber Orchestra, Deutsche Kammerphilharmonie Bremen, Orchestra of Mannheim Opera, and Spanish Radio and Television Symphony Orchestra. In the United States, Prior has appeared with the Seattle Symphony and New World Symphony. Alexander Prior’s catalogue of compositions is substantial in its share of high-profile commissions. His ballet Mowgli, commissioned by the Moscow State Ballet and first performed at the Kremlin Theatre in 2008, secured international critical acclaim and has now been running for almost ten consecutive years. The Edmonton Symphony recently premiered his latest work, Putl’lt, a large symphonic work inspired by the eponymous Nuxálk word meaning “everything belongs to those generations that are not yet born.” Other landmark works include Distant Calls for voice and piano quintet; Elegy in Memory of Ligeti for cello and piano; Horizons: An American Crescendo for four soloists and orchestra, premiered by the Royal Philharmonic Orchestra under Prior’s direction at the Barbican Centre; Symphony No. 4, Gogol, commissioned by the cultural committee of St. Petersburg for the St. Petersburg State Academic Symphony Orchestra and Choir; Symphony No. 6, premiered by the Dallas Symphony Orchestra; and the triple concerto That Which Must Remain Unspoken for piano, violin and cello, commissioned by the Hong Kong City Chamber Orchestra. A graduate of the St. Petersburg Conservatory, Prior was the James Levine Fellow at the Boston Symphony's Tanglewood Music Center and was awarded a Conducting Fellowship at the Aspen Music Festival. In the 2009/10 season, he served as Assistant Conductor at the Seattle Symphony Orchestra. 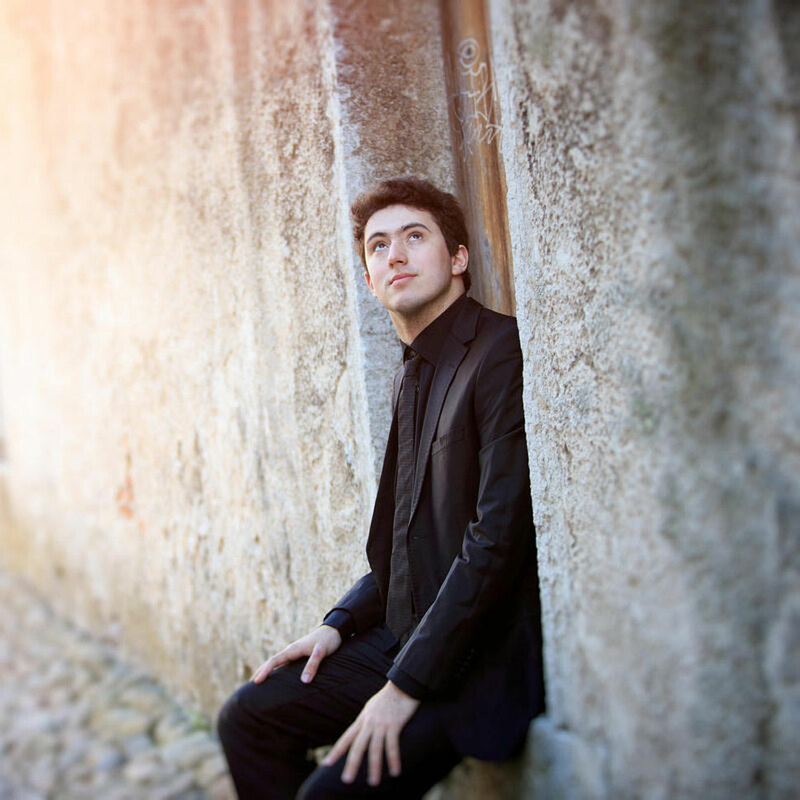 His mentors include Thomas Dausgaard, Robert Spano, Michael Tilson Thomas at the New World Symphony, Andrew Manze, and Nicholas McGegen and Rafael Fruhbeck de Burgos—both at the Los Angeles Philharmonic.